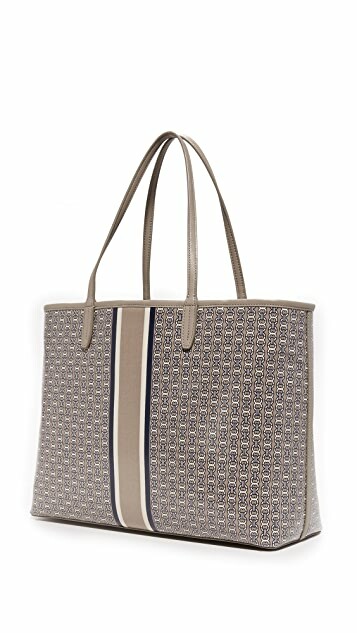 Colorblock stripes detail this patterned Tory Burch tote. The snap top opens to an unlined, 1-pocket interior. Double shoulder straps. I would like to looking for everyday items. A great tote, been using it for almost 2 years for now as a travel bag - fits my laptop and all the necessary stuff, including clothes. Still looks great. The only thing that is unnecessary - is the magnetic closure. It barely holds the bag even if it's empty. 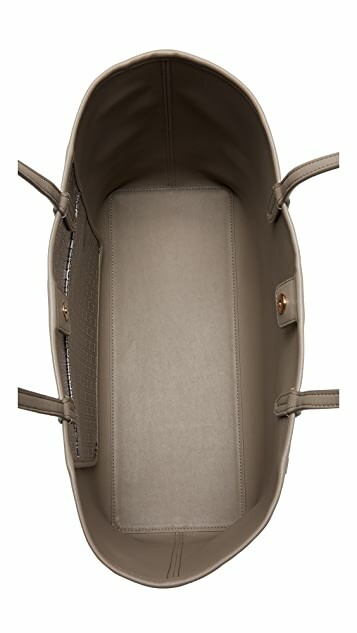 Ordered this on a whim because I needed a fuss-free and spacious tote bag for work, and came across this on shopbop. No regrets! I love how roomy it is; it fits my laptop, wallet, water bottle, notebook, etc. without looking bulky. I love this colour as it matches most outfits, and the material seems to be waterproof/resistant, so I don't have to worry about 'baby-ing' this bag. Used it for a while and it still feels and looks brand new! 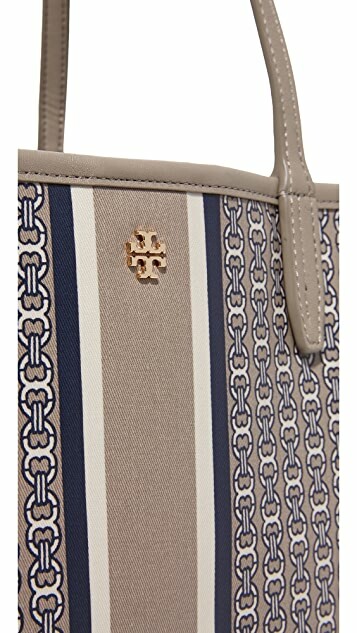 Awesome bag by Tory Burch! 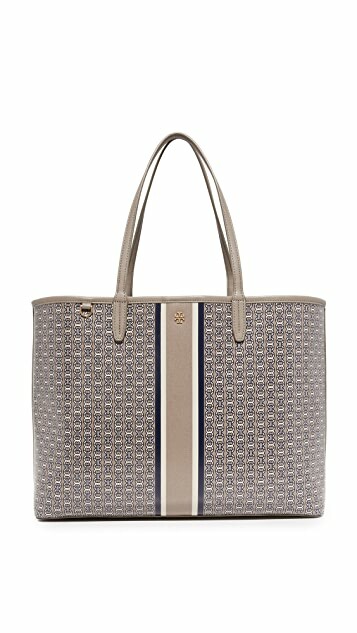 I have been always satisfied with Tory Burch bags, and this one is one of the best! Love my new bag.